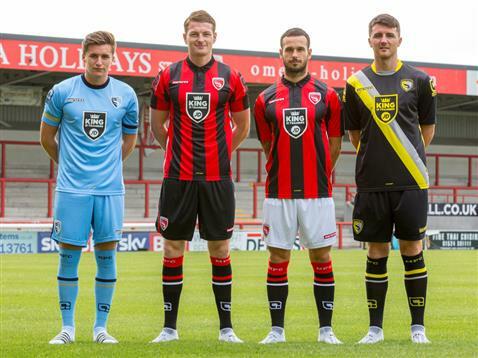 These are the new Morecambe shirts 2015/2016, League Two club Morecambe FC’s new home, away and third uniforms for the upcoming season. Morecambe finished 11th in League Two in 2014/15, eight points behind Plymouth Argyle, who took the last playoff spot. 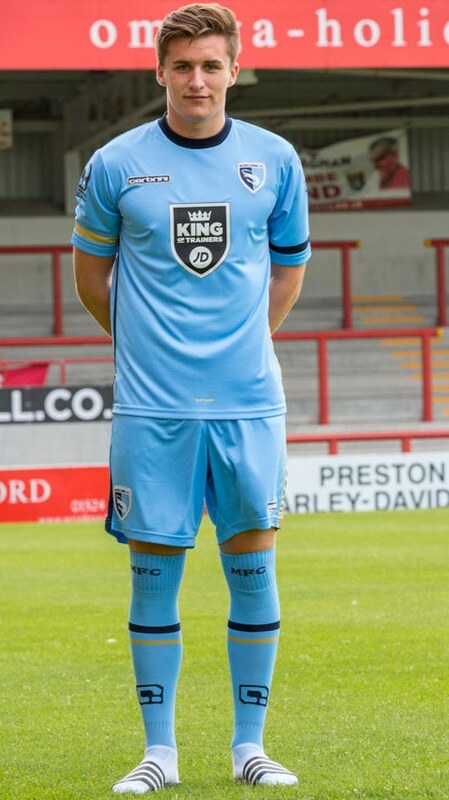 Morecambe’s new 2015/16 jerseys have been made by Carbrini Sportswear (owned by JD Sports) and were revealed at the club’s annual Gala dinner. Sponsoring all three kits is another JD associated brand (King of Trainers). Carbrini also provide kits to newly promoted Bournemouth in the top flight. 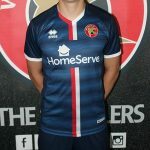 The Shrimps’ new home shirt will be red and black stripes, evoking memories of the strip worn they got their long awaited promotion to the Conference in 1995. 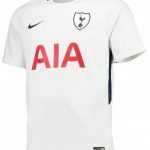 The home shirt will be normally paired with black shorts, but there is an option to pair it with white shorts, should the club want to exercise it. 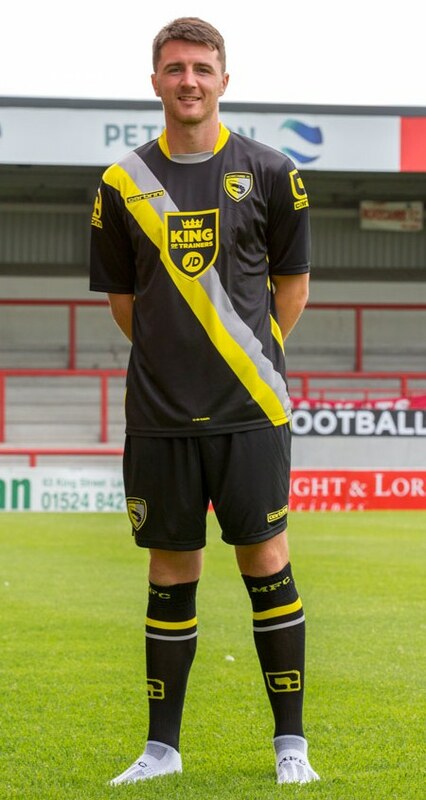 The change/away kit is predominantly black in colour, with a yellow-and-grey diagonal sash. 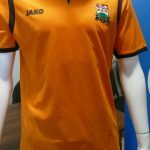 The two colours also find their way on the neckline, as can be seen in the pics below. The shirt is paired with black shorts and socks. The likes of Adam Dugdale, Lee Molyneux, Peter Murphy & Aaron McGowan were present at the launch of Morecambe’s 15/16 kits. This entry was posted in English Football League Two and tagged Carbrini on July 2, 2015 by Football Kit News. Not bad but nothing too exciting. I personally prefer the white shorts tbh. 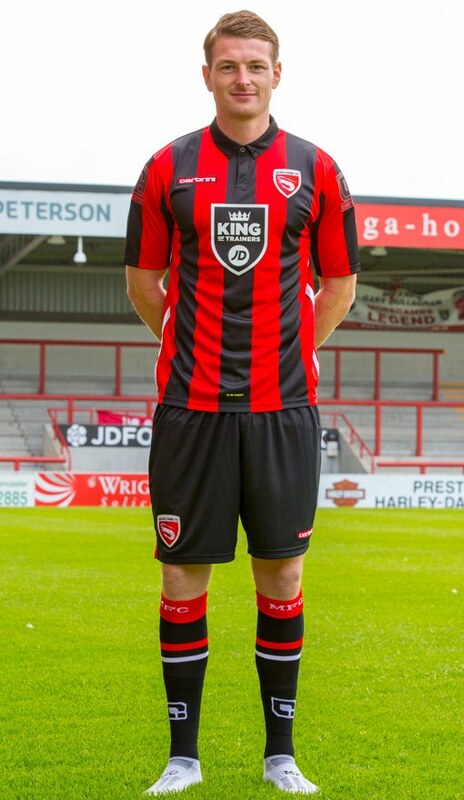 Realy love all these kits and if I was a fan of Morecambe F.C I would buy one of eatch of these kits 10 out of 10. Well done Morecambe F.C and the folks @ Cabrini good job on these 3 kits. Morecambe? Where do they play? Excellent effort…so much better than some of the so called “premiership” teams kits. Milanista you make me lugh that is the best laugh I have had all day try Google Earth you mite like it.